Landscape installation is one of Truesdale’s specialties. From a small job of replacing trees and shrubs to a major landscape renovation, our specialists handle it all. Our insight into various plant species and types as well as a deep understanding of non-invasive and invasive plants gives us and you, our customer, an extra edge when planning your landscape. We also offer computer imaging, for certain jobs, as a way of visual landscape design so you can see what the project will look like before any work is done. Look over our Photo Gallery page and you can see the many jobs we have completed, how computer imaging looks, and our before and after images. Truesdale also offers springtime planting of annuals and perennials. 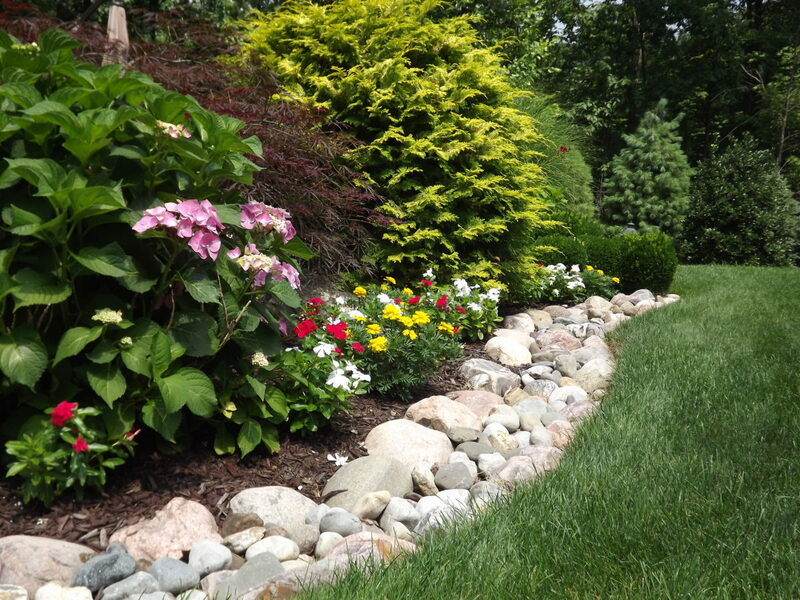 Our crews will design a layout of flowers that work best for the conditions on your property. Color and the amount of sun/shade all play a part in a beautiful landscape. "The guys at Truesdale did a fantastic job. They listened to what we wanted to accomplish and came up with an appropriate design. On the day of installation, they were tremendously professional and careful to the rest of the property. Not only would I recommend them to others but we've decided to retain them for ongoing maintenance/installations. In addition, multiple people (who either walked or drove by) commented to use how good the property looks after Truesdale's efforts."